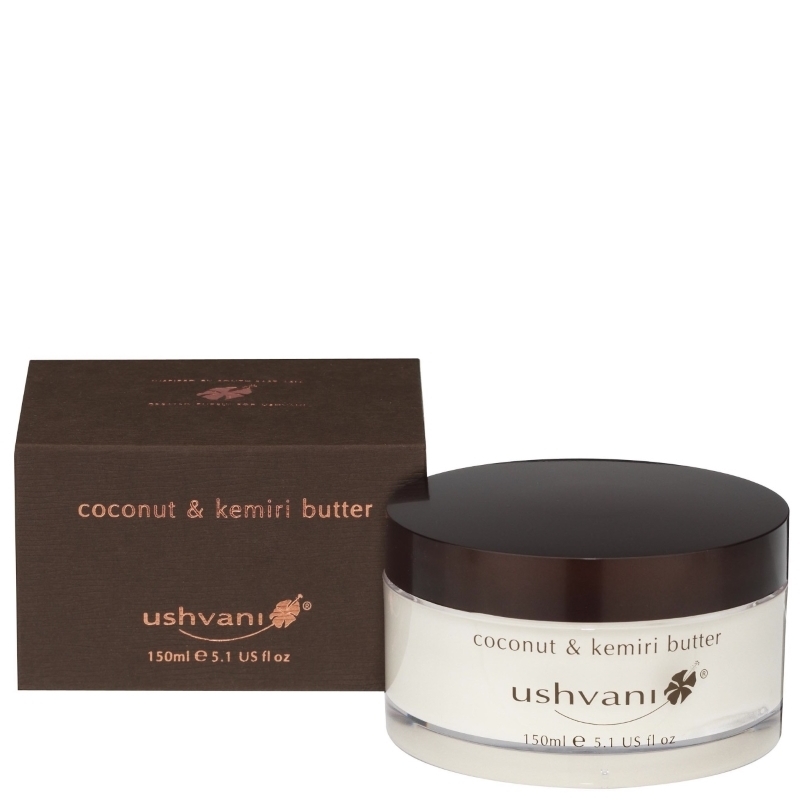 A deeply moisturising body butter fragranced with essential oils. 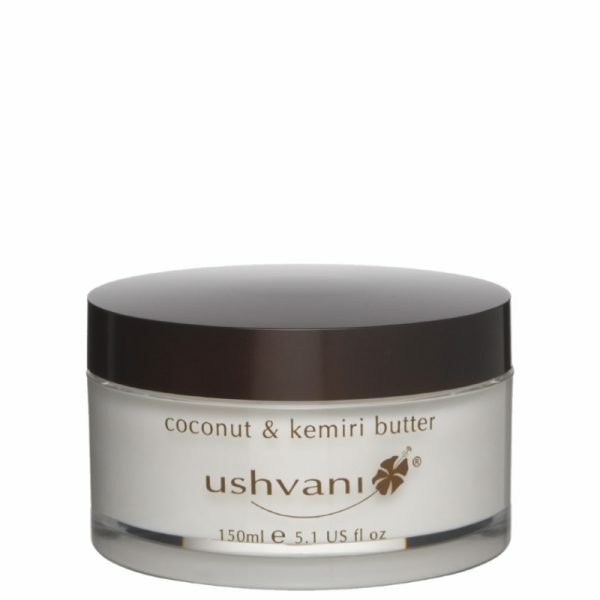 This body butter contains the purest king coconut oil, organic shea butter, kemiri and papaya oils to nourish and soften the skin. Massage into dry skin areas. May also be used as an intensive after-sun hydrating treatment. Aqua (Water), Cocos nucifera (Coconut) oil, Butyrospermum parkii (Shea nut) butter, Glycerin, Carica papaya extract, Sorbitan stearate, Sorbityl laurate, Sucrose cocoate, Aleurites moluccana (Kemiri) oil, Chondrus crispus (Carrageenan), Lecithin, Parfum (Fragrance), Zingiber officinale (Ginger) oil, Elettaria cardamomum (Cardamom) oil, Citrus aurantium bergamia (Bergamot) extract, Pogostemon cablin (Patchouli) oil, Myristica fragrans (Nutmeg) oil, Vetivera zizanoides (Vetiver) root oil, Eugenia caryophyllus (Clove) leaf oil, Glucose, Glucose oxidase, Lactoperoxidase, Benzyl benzoate, Cinnamal, Citral, Coumarin, Eugenol, Farnesol, Geraniol, Limonene, Linalool.